Our goal is to teach the importance of compassion and kindness towards animals. WHS is pleased to offer the following Girl Scout Programs! Earn your Pets Badge at Whatcom Humane Society! Program costs $7 per scout with a minimum fee of $35. Adults are free to attend and at least one adult for every six scouts is required to remain on site during the program. Maximum registration is 12 scouts. Larger groups may be accommodated upon request. Brownie programs are 90 minutes in length and are by request only. 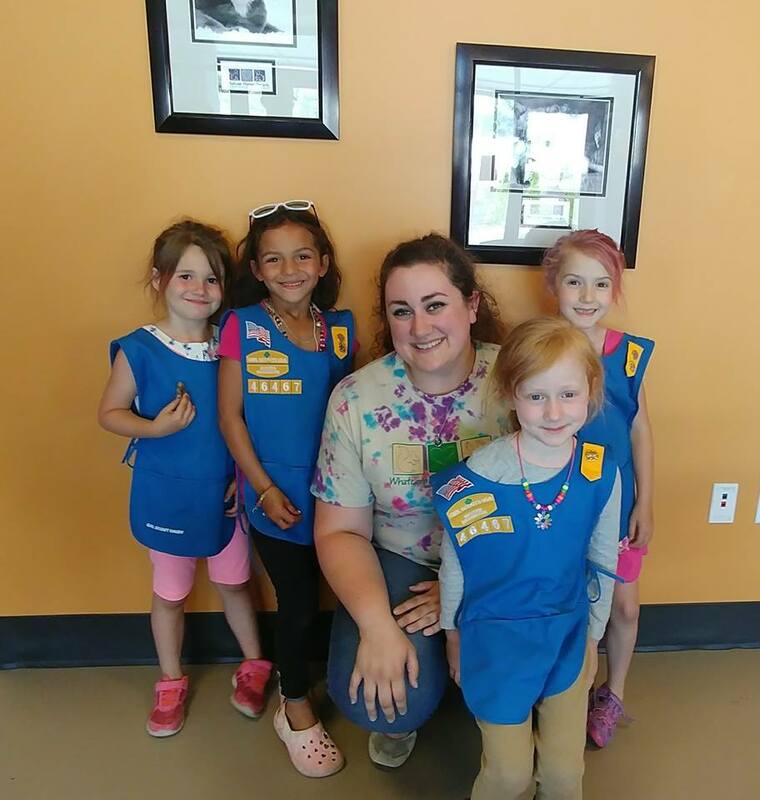 Junior Girl Scouts can get their Animal Habitats Badge at Whatcom Humane Society! Program includes the badge and a cost of $7 per scout with a minimum fee of $35. Adults are free to attend and at least one adult for every six scouts is required to remain on site during the program. Maximum registration is 12 scouts. Larger groups may be accommodated upon request. Junior programs are 90 minutes in length and are by request only. Animal Shelter Tours and a basic introduction to animal shelter work are available for all scouts at no cost, but must be scheduled in advance. To schedule for your troop, please e-mail: scoutprogramsatwhs@gmail.com. Volunteers and their dogs enjoy an afternoon listening to children in the community practice their reading skills. Dogs are great listeners and children don’t feel judged when reading to them. If you are interested in joining our Dog Day Afternoons volunteer team, please contact us by email at outreach@whatcomhumane.org or call us at (360) 733-2080 ext. 3116. Reading is so fun with this dog! If your child would like to read to a dog, please contact one of the participating Whatcom County library branches to find out information about the next Dog Day Afternoon. 2019 Critter Camp Registration is OPEN! 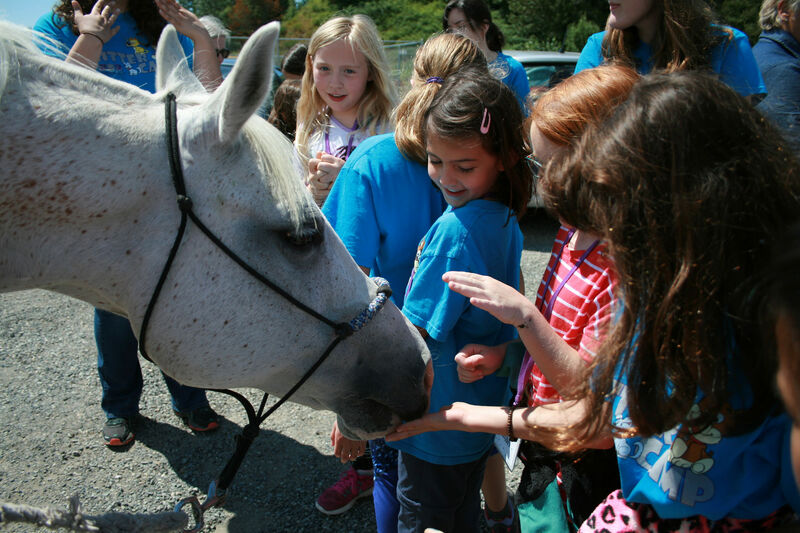 Critter Camp is designed to be a fun, educational experience for kids who love animals! At this time, our camps are designed for children ages 8-10. Kids must fall within this age range at the time of desired camp session. We limit each child to attending camp one session per summer. Registration is on a first come, first served basis. Registration will not be processed until payment is received; we cannot hold spaces without full payment ($200/child). Registration deadline for all sessions is May 17, 2019. All sessions are from 9:00 am to 3:00 pm, Monday through Friday. take home useful advice about veterinary care, pet first aid and more! The cost per child is $200 and includes a camp t-shirt, daily vegetarian lunch & snacks. Camp is limited to just 16 kids per week. Please see the 2019 Critter Camp Registration form for details on payment options and the cancellation policy. To register your child, please download & complete the 2019 Critter Camp Registration Form. Completed forms can be returned to WHS during normal business hours or sent via fax (360-733-4746) or email (outreach@whatcomhumane.org). Encouraging groups of children under the age of 12 to perform service projects in their community to benefit homeless animals. Weekly programs, such as Kendall Kids at Kendall Elementary School, incorporate humane education into daily school curriculum and activities. For more information, please contact Zakia at (360) 733-2080, ext #3116 or outreach@whatcomhumane.org. We reach out to the community to help achieve our goal to teach the importance of compassion and kindness towards animals. In addition to our programs at Whatcom Humane Society, we can bring our humane education lessons to your educational setting. We can tailor programs for all age groups with lessons focusing on issues such as Compassion and Kindness towards Animals, Responsible Pet Ownership, Dog Bite Prevention, Spay and Neuter Education, and Protecting Native Wildlife. These programs are free of charge; however donations to help with the costs of providing these valuable learning opportunities are greatly appreciated. To request a Humane Educator to come to your school or classroom, please contact us at outreach@whatcomhumane.org or call (360) 733-2080 ext. 3116. Guided Tours are available. These interactive tours explore the facility providing information about the different animals we receive and the services we provide for the animals and the community. Tours are generally limited to groups of 10 people at a time. No tours are possible on Tuesdays as the shelter is closed. 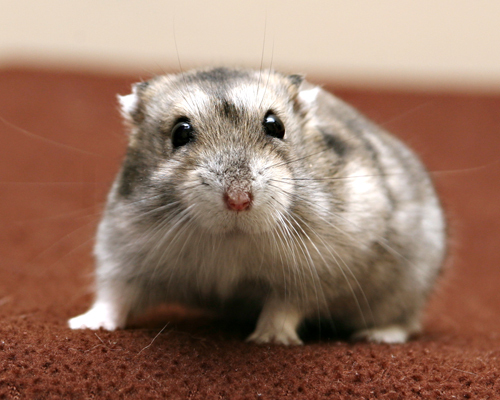 Due to safety and liability reasons, staff will not be able to take any animals out of their enclosures. 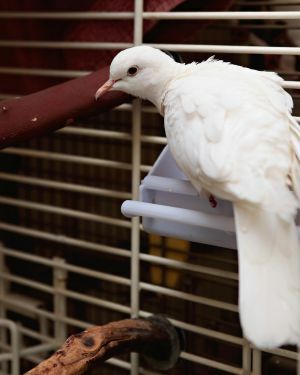 Students are welcome to look at and take pictures of the animals but cannot pet them. A few guidelines while students are at the shelter. Because we deal with sensitive issues like members of the public bringing in sick or injured animals or possibly surrendering their own animals, we need the students to use quiet voices and be respectful at all times. If there is too much noise, it can be upsetting for the animals and make it difficult for staff to help the public. Students should remain with their leaders and designated WHS staff members at all times and not wander in any of the areas unattended. We want to keep the students and the animals safe. To schedule a guided tour of our facility, please contact us at outreach@whatcomhumane.org or call (360) 733-2080 ext. 3116. Whatcom Humane Society is often contacted by kids that would like to help animals. There are so many ways you can help! The Humane Society of the United States has put together 55 Ways to Help Animals. It is an extensive list of ideas for ways kids can help animals in our community and across the country. Looking for ideas on how students can volunteer for animals while learning about many of the subjects taught in schools today? Click here for great ideas in Service Learning.